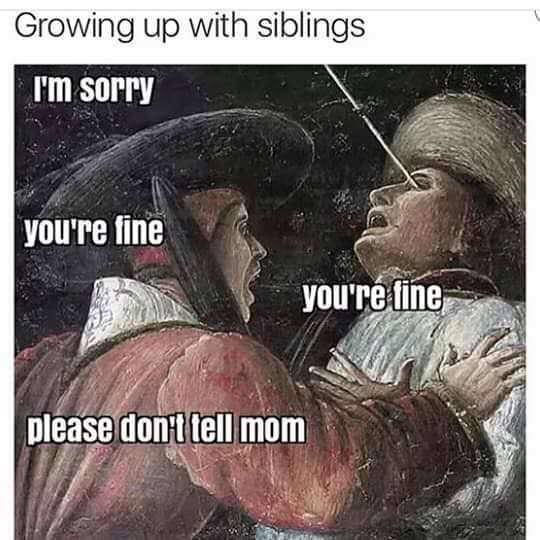 Growing up with siblings - I'm sorry. You're fine. You're fine. Please don't tell mom. It's just a little arrow in your eye.